Do your eyes frequently wander off while playing with your baby? If you do, it’s time to put the smartphone or any other distractions away when you are in the playroom. Locking eyes with your little one and the toys you are both playing with during playtime can actually benefit a lot his cognitive development, specifically his attention span. Sustained attention is important because it’s a strong indicator of future success in areas such as language acquisition, problem-solving, and other key cognitive milestones. In the past, attention was thought to be a characteristic that children improved at their own pace, not that it was affected by environmental factors such as a parent’s or caregiver’s behavior. However, a new study published in the journal of Current Biology, carried out by Chen Yu and Linda Smith from Indiana University’s Department of Psychological and Brain Sciences, shows the effects caregivers and parents have on children simply by paying attention for an extended period of time. The researchers found a direct correlation between how long a parent (or caregiver) looks at the object a baby is playing with, and how long the baby remains focused on that same object. This means that looking over at your phone during playtime could cause your child to be distracted too! 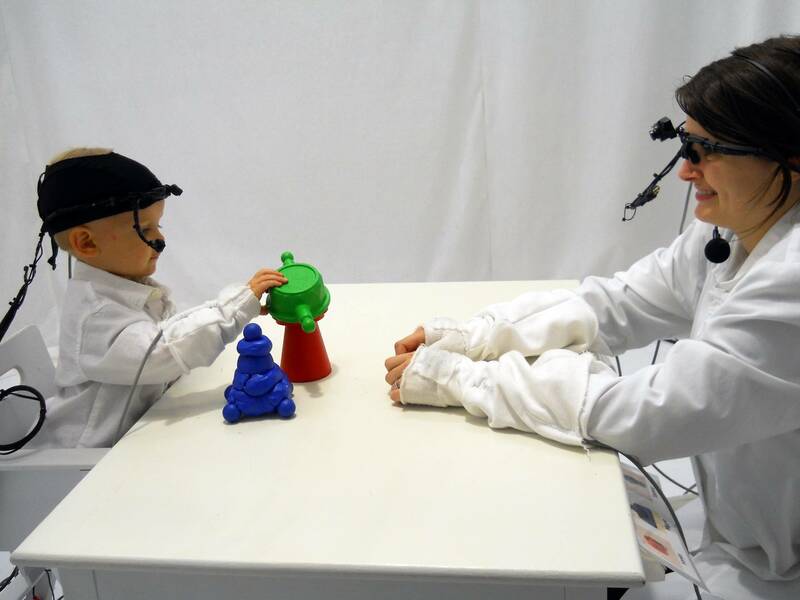 The researchers found that when parents took the time to look at a toy for a sustained period of time, this action was also mirrored by the baby. In fact, the longer the parents held their gaze, the longer the child did too, even after the parent looked away. An additional element to consider was that the parents who were most successful at sustaining the baby’s attention were those who “let the child lead”. This means that the parents or caregivers waited until they saw the children express an interest in a toy and then intervened and expanded that interest by naming the object and encouraging play. “If parents try to lead by getting the child’s attention on the object of the parent’s interest, this effort may not be successful […] But if parents just follow the child’s attention/interest it is easier to be in joint attention with their child” Chen Yu said. Let your baby take the lead during playtime. Lock eyes with your baby and the toy. If you’d like to learn more about the study, check out the following link.